Created to allow Parents and Carers, to release the tensions, frustration, stress and anxieties which may be associated with being a Parent and or a Carer. These calming sounds are designed to replace the often physical as well as mental and emotional stresses and tensions of being a parent or carer with a calm, peaceful, relaxed and tranquil state, which is beneficial to the physical as well as the emotional levels of the body. 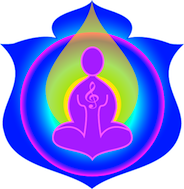 These sounds may be played as often required or desired to retain this calm peaceful state. The Parent Carer sounds were created for two reasons, one was to assist the many parents who expressed to me the difficulties they experienced in remaining calm when the literally felt like “killing their children”, and the lengths they went to not give in to these urges. As a mother of numerous children myself, I could identify with those thought only to well. The second reason was that a number of clients as well as friends have the responsibility of children or often elderly relatives who require constant care, and that there is little available in terms of respite care or at times even a break. These sounds were developed to assist with these issues by creating a calm and tranquil state. Comment from Susan – I have often used this sound for business clients, use a little lateral thinking when using the sounds. Often a business person will be a ‘parent’ caring for their business. So, if business is going through a somewhat ‘stressful’ time. Consider playing this sound.